The Roe Valley branch of Comhaltas Ceoltóirí Éireann says hundreds of musicians will descend on Limavady when the 2017 County Derry Fleadh is held in the town for the first time this year on May 25-28. 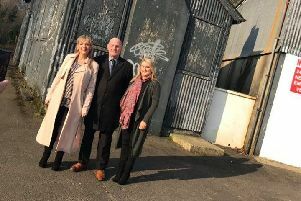 “There is a packed schedule of events taking place across the town including; music and dance competitions, traditional sessions, a live concert, street music, and a range of family-orientated events,” said Eoin O’Hara, from Jimmy O’Hara CCE. “All entries for competitions must be submitted to the county secretary Cormac Mitchell cormacmitchell@yahoo.co.uk by 6pm on April 29 (four weeks prior to the Fleadh competitions). No late entries will be accepted, and there will be no provision made for entries on the day of competitions. “All branch members can get free entry into all competitions, but non-members must pay £3 per solo competition, £6 per duet or trio, £20 per group or band, or £3 per dancer. Cheques should be made payable to Co. Derry Fleadh Limavady 2017. Dance competitions will be taking place in Christ Church Hall, on the evening of Friday May 26, music competitions will be taking place throughout the day on Saturday May 27 in St Mary’s High School Limavady. There will be an admission fee into the competition venue. Comhaltas members should register with their branches, while non-branch members can download entry forms from www.comhaltas.ie or the Facebook page County Derry Fleadh, Limavady 2017. Entry forms are also available at all branches.